Norse mythology, together with Greek and Roman, is probably one of the most interesting and complex. It includes detailed descriptions of both rise and fall of the world of gods, people, and different fantasy creatures. In the Viking world, there were two families of deities – Aesir and Vanir. They were at war for a very long time, but since neither family was able to win the war, they concluded a truce. The Aesir family was greater in number, its members lived in Asgard, and were generally considered gods of war. Most common of the Aesir were the supreme god Odin, his eldest son Thor, along with Baldur, who was the favorite among gods, the war god Tyr, and Loki, who wasn’t really a god, but lived by their side in Asgard. Members of Vanir were gods of welfare, health and fertility. More notable of them were god of the sea Njord, his twin son and daughter Frey and Freya, who was the goddess of love and beauty, Frigg (or Hlin), Odin’s wife who was a mother to many gods, Henir (Ve) and Lodur (Vili), Odin’s brothers who helped him create the world and the people, and Ull, god of winter. The strongest among gods, protector of order, divine thunderer, inseparable from his hammer, Thor aroused most admiration of all of the gods. His cult spread through all of Viking world, and the fact that one quarter of all Icelandic names from the Viking period contained the word Thor speaks well of his popularity.7 His day was Thursday, which is also derived from his name. He was a fierce enemy of giants, and was honored as the protector of Asgard and Midgard.8 He was a son of Odin and Jord, and he lived with his spouse Sif. His most valued possession was his hammer, Mjöllnir.9 It would smash anything it hit, afterwards returning to Thor’s hands.10 He also had a magic belt that increased his strength by half whilst worn. He traveled in a chariot towed by two goats, Tanngrisnir and Tasnngnjostr, which had the magical power of regeneration. He was related to natural forces, primarily storms, thunder was thought to be the noise from his chariot passing through the skies. Travellers put themselves under his patronage when going on a journey. Most of village populace considered him the supreme deity to whom they would turn for help when in danger. His descendants are also followers of the forces of evil, his children with the female giant Angrboda were: Hel – queen of the dead, Snake of the World Jormunganda and voracious wolf Fenrir. The latter two will, along Loki, play important roles in Ragnarok as followers of evil. Giants are mostly mentioned as the enemies of gods, although their relationships were not entirely hostile. There are numerous stories of affairs between gods and giants, ie. 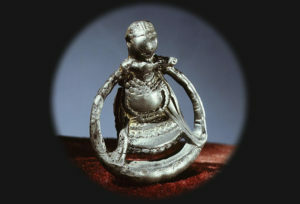 even Thor was born from Odin’s relationship with Jord, who was a female giant. In myths, they are generally displayed as slow and boring, awed mostly for their monstrous size, which was greater even than gods’. Once in a while they even displayed a kind nature. Since they were creatures of cold and dark, they would have turned to stone if touched by sunlight. 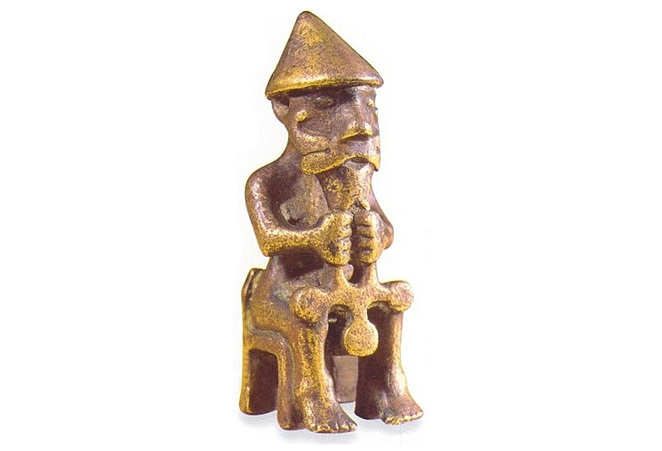 Dwarves were always considered great craftsmen, having built all of the treasures and magical items gods possessed. They lived in mountain caves, beneath the ground, and, much like the giants, didn’t like the sunlight. They were generally friendly to people. Their characteristics were very contradictory: „elves of the light were considered almost as beutiful as gods, whilst the elves of the dark were malformed and disgusting. Reminiscence of both traditions remained in the folklore at later ages, in the form of fairies and goblins.“18 House owners would, within the fertility ceremony, offer them sacrifices at the beginning of winter. The Valkyries were beautiful girls Odin sent to the battlefield to choose warriors that will die. Half of them would then belong to him, and the other half to Freyja. They decided who would win the battle. They also served the warriors in Valhalla. 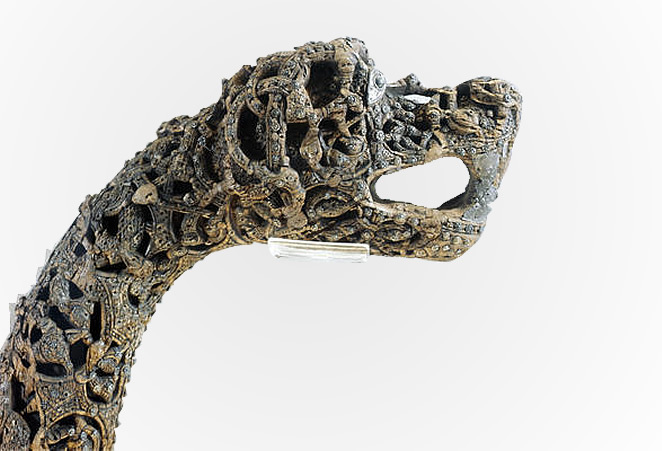 In Viking myths, the snakes had generally negative connotation, and because they lived underground, they were also considered to be related to the dead. Even though they had no mythical role, snakes were often confused with dragons. They were a threat to the Tree of the world, which was described in ancient rhymes. Vikings were Christianized relatively late (11th century), so their mythology was developed through a long period of time. 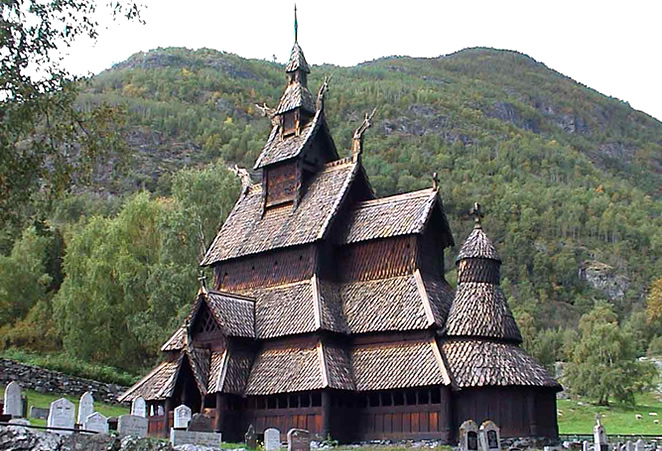 In Viking society, there were no temples, nor were there any people with clerical roles. Religious and earthly worlds were extremely interconnected. In the Viking world, there were two divine families – Aesir and Vanir. TONY ALLAN, Vikinzi, Duncan Baird Publishers Ltd, 2001. 9 It is one of the six treasures dwarves have crafted for the gods: Odin’s spear Gungnir, his ring Draupnir, presents for Frey: wild boar with golden mane and bristles, and a amgnificent boat that could sail both by land and sea, and it could have been easily rearranged and shrunken to pocket size.